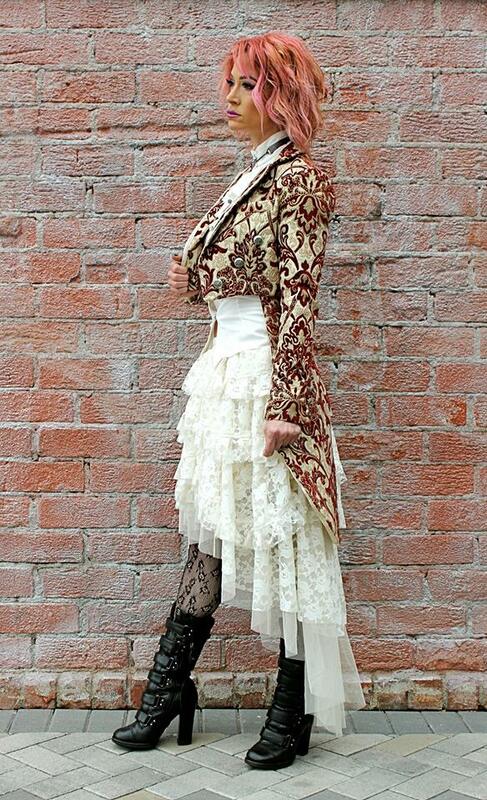 A cute short brocade and lace shrug. 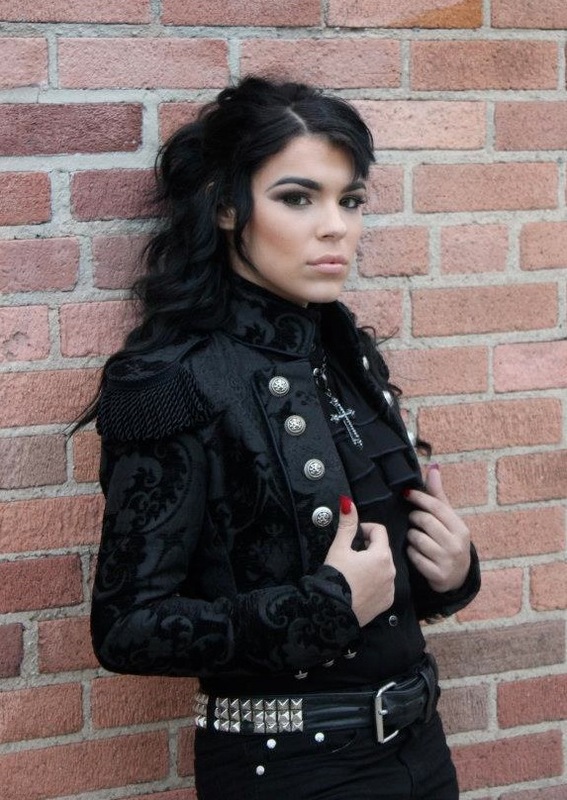 A shrug with a high elegant collar trimmed with black lace. 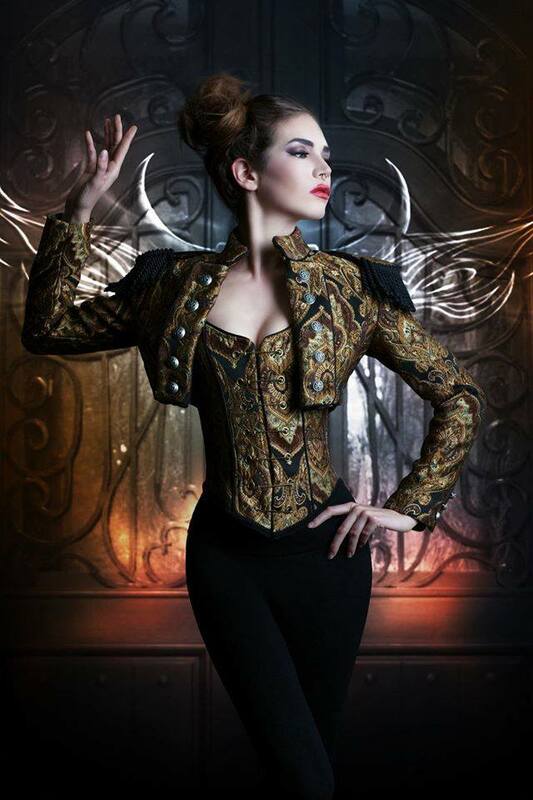 Fastens in front with four black buttons the collar and front of the shrug are a rich black brocade fabric. 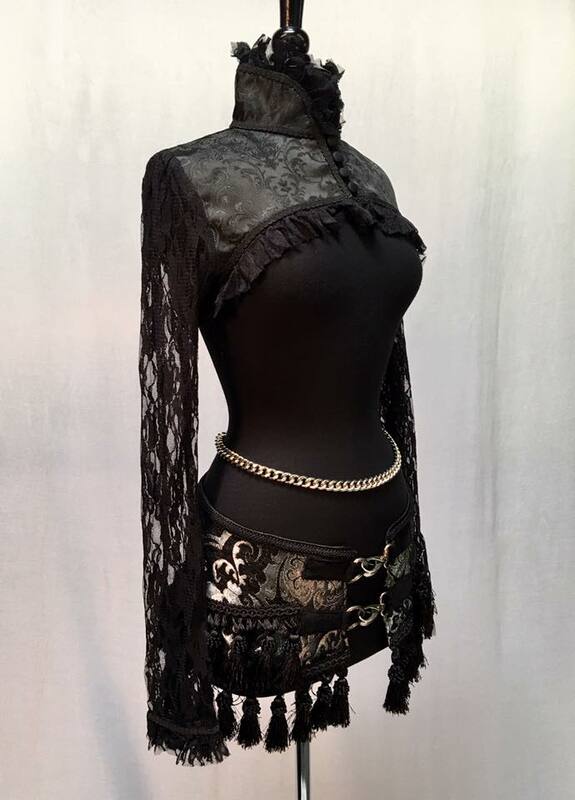 The sleeves and back of the shrug are stretchy black lace. Trimmed all over with black braid and black lace. Comes in sizes small-XL. Nice!